(Richmond, IN)--Richmond police investigators have released a picture and are asking for the public’s help in solving a murder that occurred three years ago. 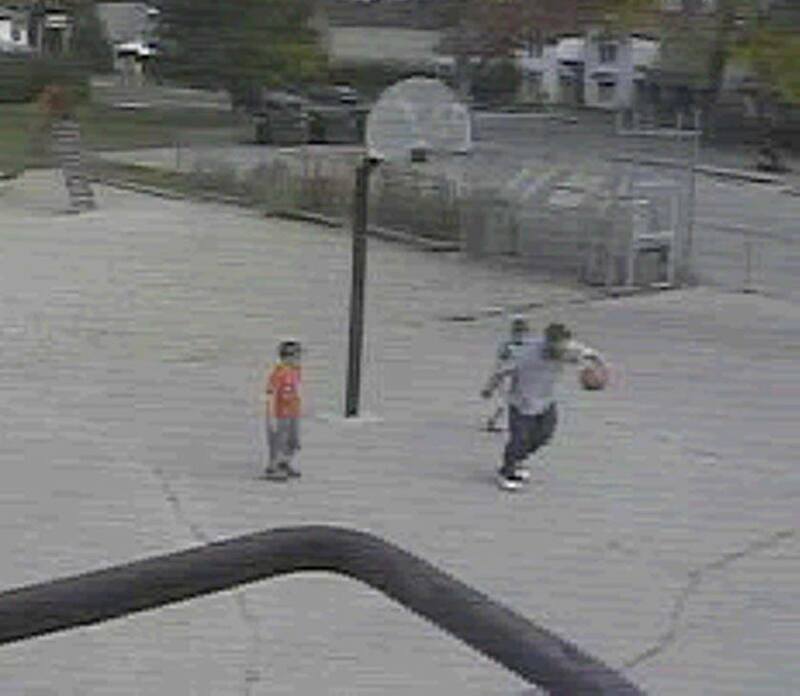 The grainy picture shows a man playing basketball with two young children. The social media post indicates that investigators believe there are witnesses who have not come forward. Although the post does not mention it, the picture is thought to be connected to the murder of Randon Aldora, who was shot in the head on North 20th Street in October of 2015. 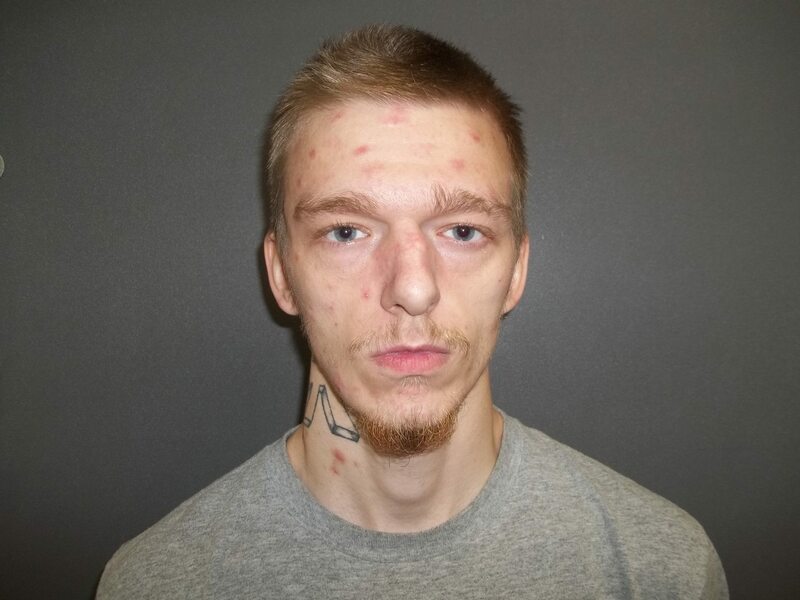 (Connersville, IN)--A teenager who was allegedly involved in last week’s murder at the Elephant Hill Trailer Park in Connersville has been charged as an adult. 16-year-old Blake Morehead is today facing charges that include one count of aiding, inducing, or causing murder, burglary, and attempted robbery. 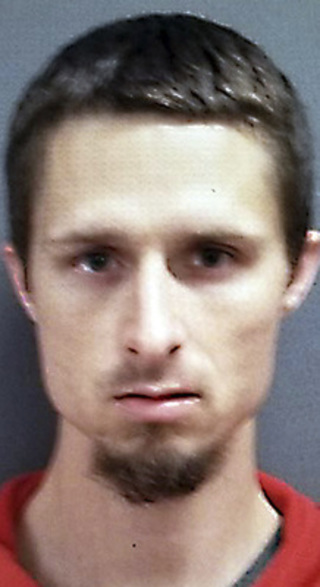 Investigators say Morehead and four adults saw a bicycle outside the trailer of the victim, Shane Hamilton, and assumed it was the bicycle of another man who they were really trying to confront. (Richmond, IN)--Another downtown Richmond business announced Wednesday that it’s closing its doors permanently. 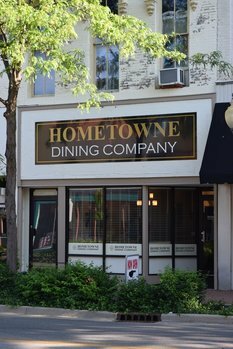 Hometowne Dining will end its run downtown on October 13, according to a post on its Facebook page. Hometowne served breakfast and lunch and was also involved in catering. No reason for the closure was mentioned in the post, including whether or not construction played a role. Hometowne becomes the fifth downtown Richmond business to close this year. 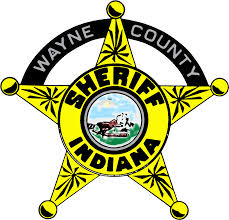 (Wayne County, IN)--There was a fatal crash on Pottershop Road in Wayne County late Wednesday afternoon. A male drive in his 30’s was headed west on Pottershop at a high rate of speed near Creek Road when he lost control of his Volkswagen Jetta and hit two trees. The driver was pronounced dead at the scene. His name has not yet been released. Investigators don’t yet know what caused the victim to lose control. (Richmond, IN)--Richmond’s east-side Bob Evans restaurant has closed for good. Employees at the Chester Boulevard location confirmed Wednesday morning that the city's other restaurant at Commerce Drive and National Road East has closed permanently. The closure came with no advance notification whatsoever and came as a surprise to those who went there for dinner Tuesday night. It’s not the first time this has happened in our area recently. 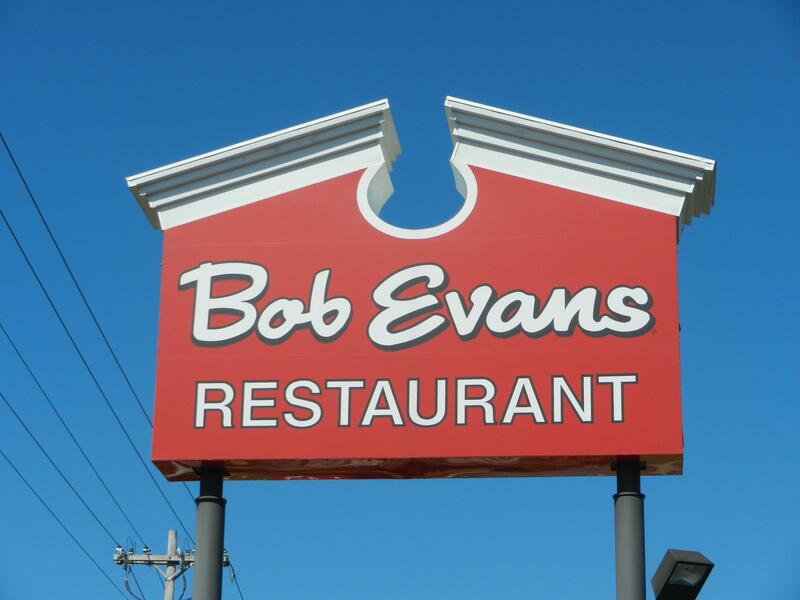 Bob Evans shut down a Fairfield location last week with no warning or explanation. Richmond’s Chester Boulevard location remains open. There are also locations in Eaton, Oxford, and Greenville. (Centerville, IN)--Here’s more on the shots fired incident on George Early Road in Centerville that we told you about Monday. 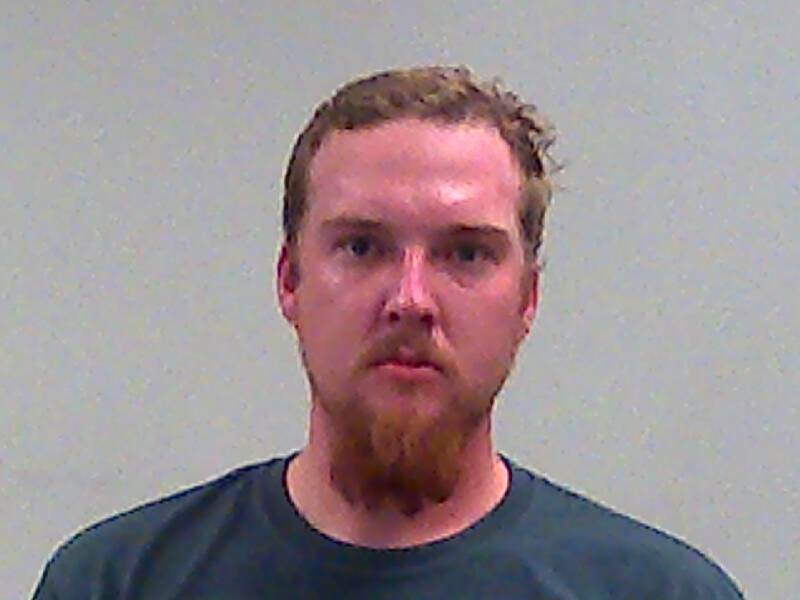 26-year-old Joshua Ferguson was arrested for criminal recklessness after allegedly firing shots in a dispute with a neighbor. Ferguson’s family now says it was the culmination of a long-running series of threats from the neighbor. One of those threats was recorded. The Ferguson family claims Sunday’s incident was the result of an attempted attack on a special needs boy’s service dog. The neighbor in question has a previous battery arrest. 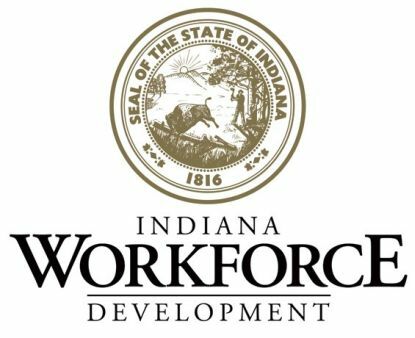 (Wayne County, IN)--The number of people in Wayne County’s work force is trending downward, but its unemployment rate is holding steady. According to new numbers from the state that were released Monday, 323 people left Wayne County’s work force last month. The number of people working dropped by a nearly identical amount. The unemployment rate is holding steady at 4%. Fayette County has the second-highest unemployment rate in the state at 5.2%. Ohio numbers come out later Tuesday. 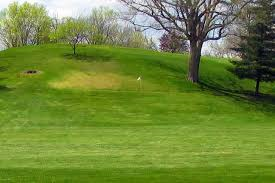 (Eaton, OH)--The future of the Eaton Country Club was discussed Monday night. The club, with a golf course that borders the historic Roberts Covered Bridge and State Road 732, has been in financial distress in recent years. Members indicated that the club stayed solvent this year with help of a $20,000 individual donation. The outcome of Monday night’s meeting has not been made public. The Eaton Country Club is in its 97th year. (Wayne County, IN)--The number of hepatitis A cases in Wayne County continues to increase as its ranking nationally moves higher. Wayne County added eight new cases last week. That pushes the number of local cases to 109. On a per-capita basis, Wayne County now has the fourth highest rate of hepatitis A in the country. Roughly one of every 606 Wayne County residents now has hepatitis A. The Wayne County Health Department and some pharmacies continue to offer vaccinations. 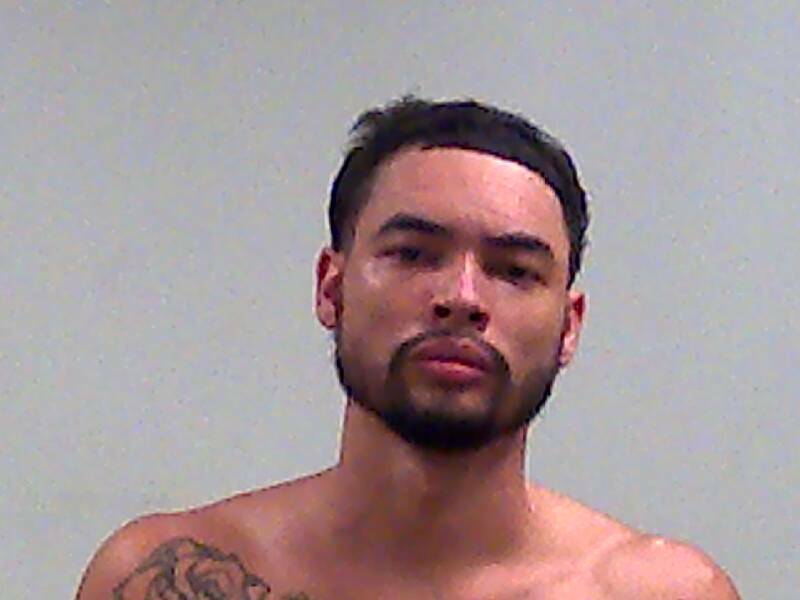 (Centerville, IN)--A resident of George Early Road in Centerville was in jail Monday morning after shots were fired Sunday night. Police were dispatched there are a report of one man firing shots toward a neighbor and then running down the road with a gun in his hand. That suspect was later identified as 26-year-old Joshua Ferguson. Ferguson has been charged with pointing a loaded firearm at another person and criminal recklessness. No one was hurt. Investigators have not said what led to the dispute. (Connersville, IN)--More suspects have been arrested in connection with last week’s murder at the Elephant Hill Trailer Park in Connersville. On Sunday morning, law enforcement officers located Frank Logan Junior hiding in an outbuilding on a Laurel home. Logan was taken into custody and charged with murder. Investigators were also able to track down 22-year-old Brady Price. 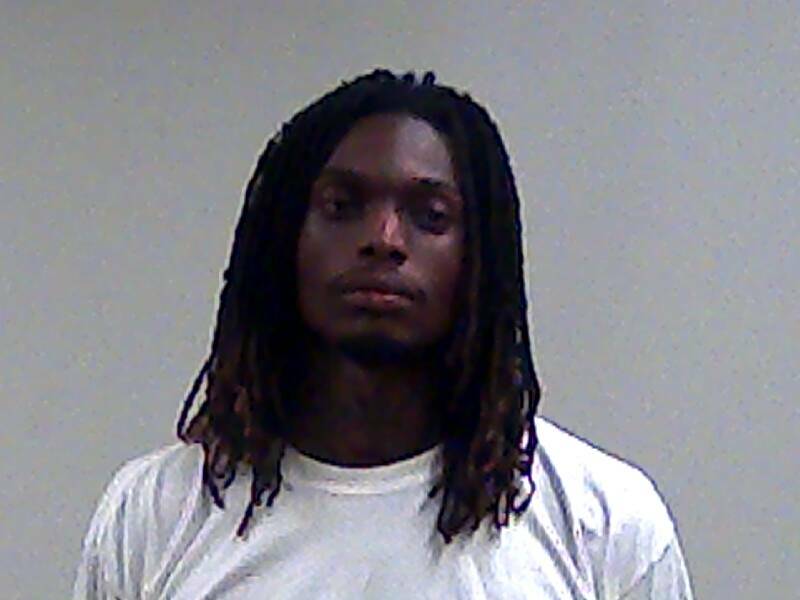 He’s been charged with assisting in an armed robbery with a deadly weapon resulting in death. Five people have now been arrested in connection with the death of Michael Hamilton. It now appears that last week’s murder was a case of mistaken identity. Law enforcement agents and the fiancé of the victim say three men entered the trailer looking for someone else…someone named AJ. When Hamilton confronted the intruders, he was shot in the head. Hamilton’s fiancé and his two young children, ages 17 months and just three weeks, were inside the trailer at the time of the shooting. They were not injured. (Connersville, IN)--Two people have been arrested in connection with a Connersville murder, but authorities on Friday morning were still looking for a third who they’re calling a person of interest. 18-year-old Mark Bennett has been charged with the murder of 37-year-old Michael Hamilton early Thursday morning at the Elephant Hill Trailer Park. Bennett’s father, 44-year-old Rodney Bennett has been charged with aiding a robbery. Now, investigators are looking for 31-year-old Adam Frye. Hamilton was shot and killed early Thursday morning. (West Alexandria, OH)--Twin Valley South schools in West Alexandria went on lockdown Thursday when a shooting suspect pulled into the parking lot at around the time students were dismissing. The shooting happened in Tipp City, which is about 34 miles away, earlier Thursday afternoon. The suspect was taken into custody and the lockdown was lifted. Investigators have not said why the suspect went to Twin Valley South after the shooting. No one was injured in the Tipp City shooting incident. (Richmond, IN)--A melee broke out at a Richmond restaurant Thursday night. RPD officers were called to Applebee’s at around 9:30 when multiple people became involved in a fight inside the building. Police were able to separate the people and eventually took one allegedly very intoxicated woman to Reid Health and then to the Wayne County Jail. 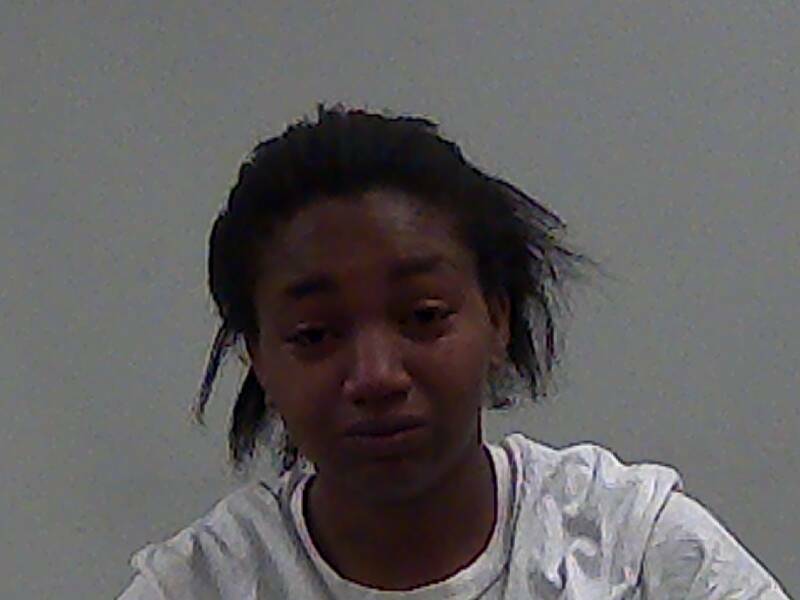 She’s been identified as 22-year-old Raven Baker. Charges against Baker include disorderly conduct. 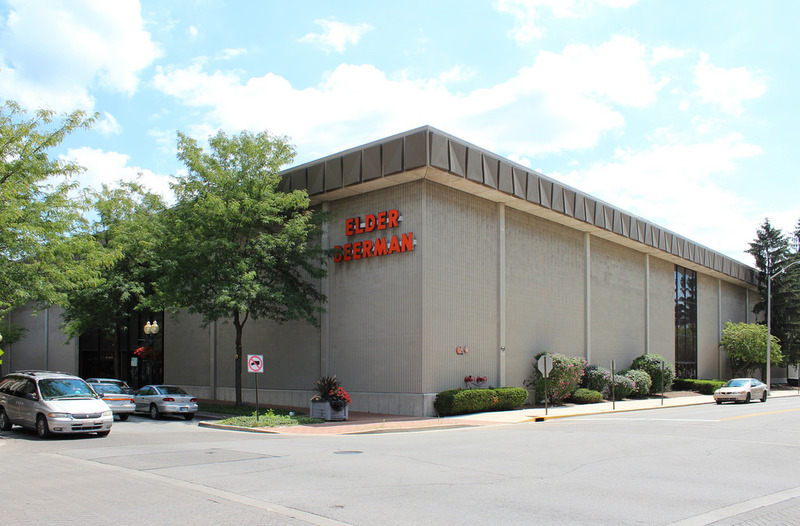 (Richmond, IN)--Thursday is the day that the recently vacated Elder-Beerman building in downtown Richmond will be auctioned off. A local group of business leaders and elected officials had put together a bid as required in the process Wednesday night, county officials met and learned that another bidder had put in a bid that’s roughly three times the amount bid by the local group. County officials have indicated they will assist any other group with a successful bid. The auction takes place in Chicago. (Centerville, IN)--A replacement for outgoing Centerville Town Council member Karen Pipes will be picked Thursday night, but it’s not been without controversy. It’s because most towns under 3500 people used wards, or districts. That changed statewide at the beginning of the year. It essence, it means that anyone can serve regardless of where they live. But, three of five council members have voted to go back to wards just before the Thursday night caucus. The move has essentially disqualified one of the two people vying to fill Pipes’ seat. (Connersville, IN)--More information has been released about a new company coming to Connersville. 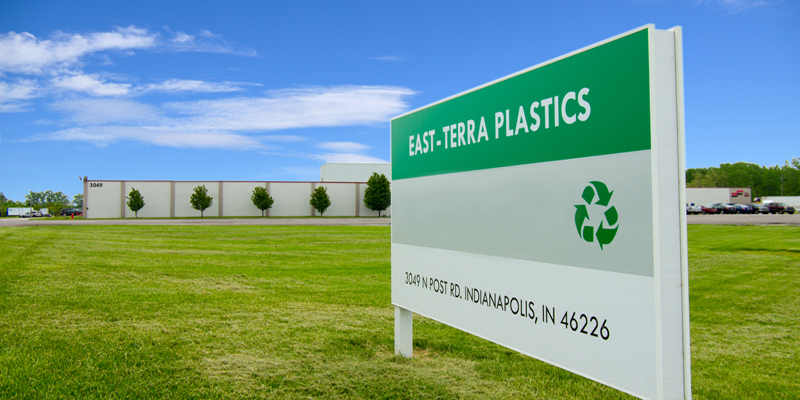 It’s now been identified as a plastics recycling company called East-Terra Plastics. They have operated in a large central Indiana city since 2006 but will be moving into the Connersville Industrial Center. Between 30-50 jobs are expected to be created. There’s no word yet on the pay scale for the new jobs or what the application process will entail. (Connersville, IN)--A former Whitewater Valley radio personality has been arrested for child molesting. The case dates all the way back to 1979 and involves 70-year-old Michael Peacock, who was a radio personality at was what was then WCNB in Connersville. Peacock allegedly molested a boy scout during a sleepover. 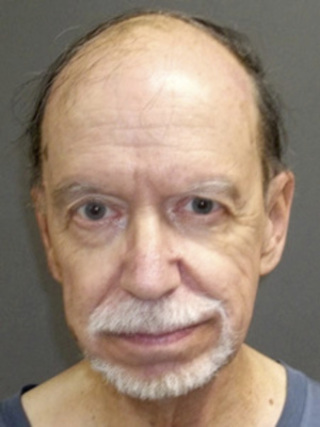 That alleged victim is now around 50 years old. Recently, he was wired for audio by police officers and confronted Peacock. That’s when Peacock allegedly admitted to the molestation. (Wayne County, IN)--The U.S. Census has released new estimates for last year. Here are some of the more compelling numbers. According to the census, 55% of Wayne County kids under the age of six are now growing up in one-parent households, with only 45% growing up in traditional two-parent households. It’s a shift from 2005 when twice as many local kids grew up in two-parent households than as did with just one parent. Here’s another telling statistic. More than half of all Wayne County babies born last year, 54%, were born to girls or women who are currently living in poverty. Wayne County’s median household income now stands at $45,000. But, 42% of households are now earning less than $35,000 annually. The Census says the number of people under the age of 25 with bachelors’ degrees who are living locally has dropped by one-third in the last year. Wayne County’s population now stands at 66,185. That’s a drop of almost 800 people since 2005. (Richmond, IN)--Belden received lots of praise from some of the highest members of the Trump administration during a visit to Richmond Tuesday. 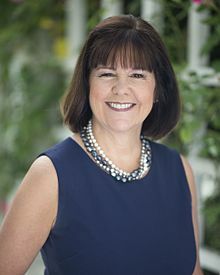 Karen Pence, the wife of Vice President Mike Pence, had heard about Belden’s program that provides not only help in beating drug addiction to employees and job applicants, but also offers a job when rehab is complete. "I knew that I wanted to visit the company and I knew the people that I wanted to bring with me," Pence said. That group included Surgeon General Dr. Jerome Adams, Secretary of Labor Alexander Acosta, and special counsel Kellyanne Conway. The group toured Belden’s Richmond facility on North West N as part of the visit. (Connersville, IN)--Connersville has landed a new company, although local leaders are not saying much about it yet. Economic Development Group Director Dan Parker told local leaders that the company has already begun moving materials into its new location. What’s not become public yet is who the company is, where they’ll be located, and how many jobs will be created. Parker said that an announcement from the company would be coming soon. (Richmond, IN)--"We might get to a point where I would make a motion to strike this." That’s Richmond Common Council member Misty Hollis said two weeks ago about an ordinance to rescind approval for funding on the second phase of the Loop bicycle project. And, Monday night, that’s exactly what happened. Council’s dropping of the ordinance came after a designer indicated that bike paths could be added without sacrificing parking. "You guys did a hell of a job, and that's what this is all about," said Roger Richert. Richert had placed used radio and billboards to plead for parking. "I would point out that every billboard did say 'please' and now it's time to say 'thank you,'" Richert added. Other Depot business owners like Jennifer Crawford were happy. "We were never against bike paths. We just wanted to keep out parking, and now it looks like we can do both," Crawford said. An advisory council has been created that will oversee the 18-24 month design and planning process for the second phase of the Loop project. 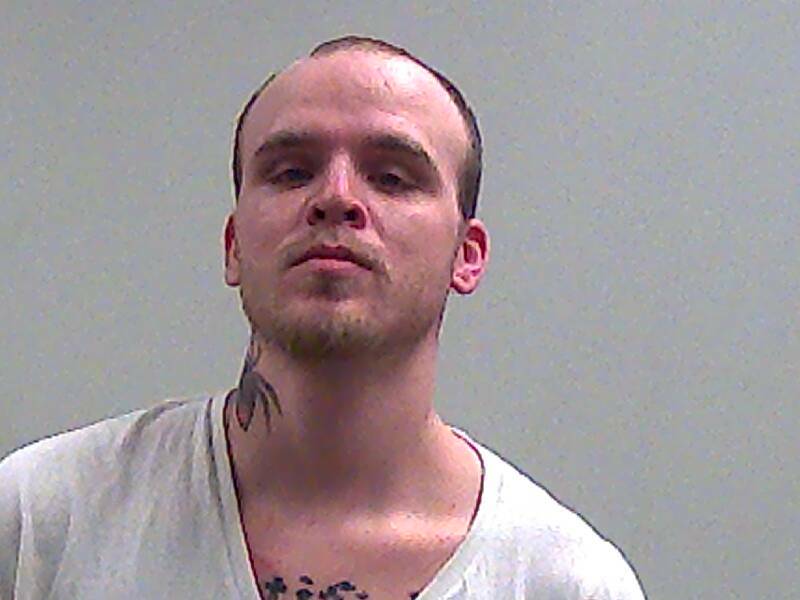 (Richmond, IN)--A Richmond man was captured after an alleged armed robbery downtown Monday morning. According to police reports, a woman was about to enter a downtown Richmond bank when she was approached by a man who was armed with a knife. That man took her purse and fled. He was quickly captured in a nearby service alley and identified as 40-year-old Arvel Stone. 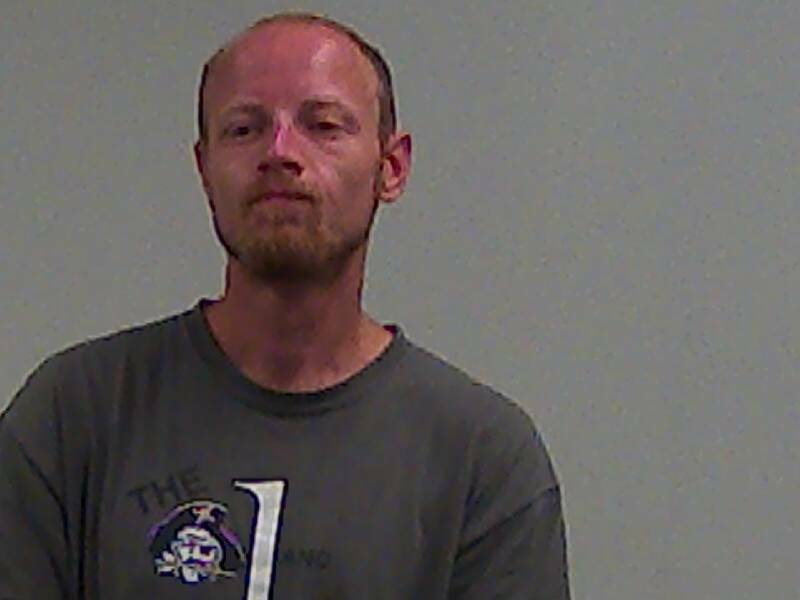 Stone remained in the Wayne County Jail Tuesday morning. The victim was not hurt. 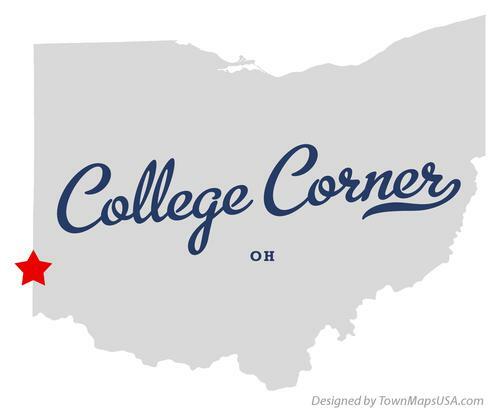 (College Corner, OH)--Multiple agencies are investigating after homemade bombs have gone off in College Corner. Officers are calling them small IED's, but they carry a big punch. Here’s the resident of one house on Eaton Street. "It lights up the whole sky at night. It shakes the windows. It rattles, is really loud, and it feels like you've been shot." The devices consist of M-80’s, duct tape, and a detonation wire. Two of the devices have been discharged in the last week. No one has been injured. (Richmond, IN)--Richmond Common Council President Jamie Lopeman has laid out specific guidelines for public comment when the controversial bicycle Loop project goes before council on Monday night. Lopeman filed the guidelines with the clerk’s office and said that public comment will be limited 30 minutes each for those in favor and those opposing an ordinance involving the loop. Each speaker will be limited to two minutes. Public commenters must first sign up at the clerk’s office with a deadline of noon on Monday. Speakers will be taken on a first-come, first serve basis. If the guidelines are rigidly enforced, it means that only the first 8-10 people to sign up on each side of the issue will be permitted to speak. (Preble County, OH)--A 24-year-old man suffered significant injuries in a Preble County crash Wednesday night. He was traveling in the 3200 block of Eaton-Gettysburg Road when he lost control on a curve, sideswiped a minivan, and then hit a tree head-on. He was taken to Miami Valley Hospital in Dayton. "i strongly suggest that people be very cautious of their speeds, especially on these back county roads. Speed is definitely a factor in this crash," said Ohio Highway Patrol Trooper Dallas Root. The man’s identity and condition have not been released. (Richmond, IN)--Here’s more on the effort of local leaders to obtain the Elder-Beerman building in downtown Richmond. Wayne County Commissioners will meet Wednesday to give final approval for consolidated EDIT money to be used to place a bid on the building next week. That money comes from Richmond and other towns across Wayne County. The assessed value of the building is close to two-and-a-half million dollars. County leaders have not said exactly how much the bid for the building will be, nor if there is a specific planned use if they are the successful bidder. 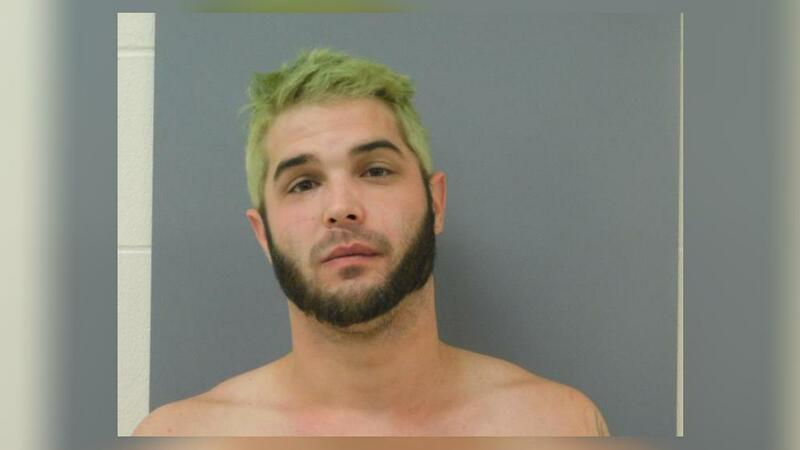 (Eaton, OH)--A man who allegedly attacked his own 88-year-old great uncle in Preble County is due in court Wednesday. 28-year-old Jeffery Hardin is facing a charge of attempted murder. The victim was seriously injured. Hardin is also accused of attacking a neighbor who would not give him a tire before firing two gunshots. The alleged attack happened just south of West Alexandria last month. (Richmond, IN)--Efforts by local leaders to obtain the Elder-Beerman building in Richmond are intensifying. 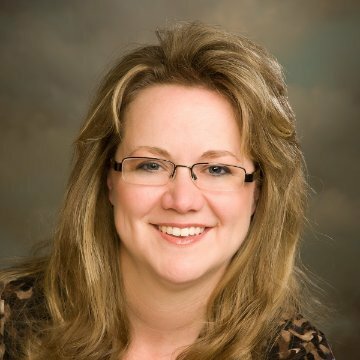 On Monday, the EDC Board gave approval to appoint CEO Valerie Shaffer as the primary point of contact for a bid on the building. The building is set to be auctioned off on September 20 in Chicago. 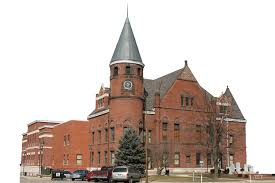 Money for the bid will come from Wayne County’s consolidated EDIT fund. So far, local leaders have not said exactly what is planned for the building, although they have said they don’t want it to become another old Reid. A potential bid amount is also being withheld. (Richmond, IN)--Richmond Common Council met as a Committee of the Whole Monday night to get more information from Mayor Dave Snow about his proposed changes involving next year’s budget. Much of the time was spent on Snow’s proposal to increase code enforcement to clean up unsightly properties. The Code Enforcement Department would include a chief officer, three full-time inspectors, and a four-person work crew. Snow also wants to initiate a program where rental properties would be inspected when they become vacant to make sure they’re up to code. Council will continue budget discussions when it meets again this coming Monday. (Richmond, IN)--A murder trial got underway Monday in Wayne County. James Childers is on trial for the stabbing death a year and a half ago of Austin Sparks outside Mack’s Place in Richmond. In opening statements Monday, Childers’ attorney claimed that video will show that Childers did not commit the crime. Prosecutor Mike Shipman said the video and other evidence warrant a conviction. The prosecution was set to continue to present its case Tuesday morning. 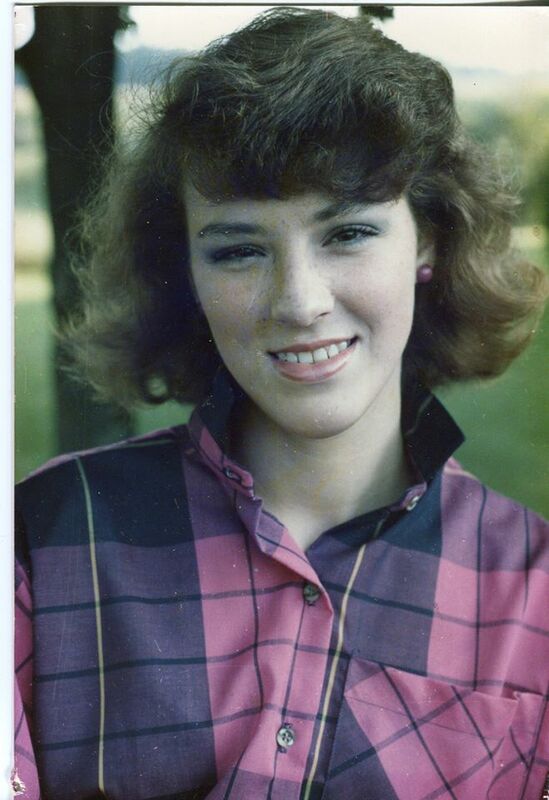 (Fayette County, IN)--The search of a Fayette County pond for a body may be directly tied to the disappearance of a Connersville teenager 32 years ago. Late last week Kicks 96 News reported that a Department of Homeland Security canine had given a positive indication for human remains at a pond at the Mary Gray Bird Sanctuary just south of Connersville. Denise Pflum went missing in 1986. Sheriff Joey Laughlin has indicated that a break in the case is imminent, and urged people with knowledge to come forward. The pond was drained recently. Now, investigators are beginning to sift through the mud. The pond remains under constant surveillance. (Fayette County, IN)--The Department of Homeland Security has now become involved in an investigation in Fayette County. According to the Facebook page of the Fayette County Sheriff’s Department, a positive indication of human remains was given by a canine at one of the ponds at the Mary Gray Bird Sanctuary. That area of the sanctuary is now off limits to the public and is under 24-hour surveillance by law enforcement agents. No other information has been provided, including what led authorities to search the pond. 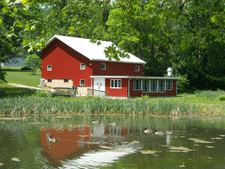 The property covers 264 acres and is operated by the Indiana Audubon Society. (Richmond, IN)--Thursday was yet another case of a wanted person making it really easy for law enforcement. 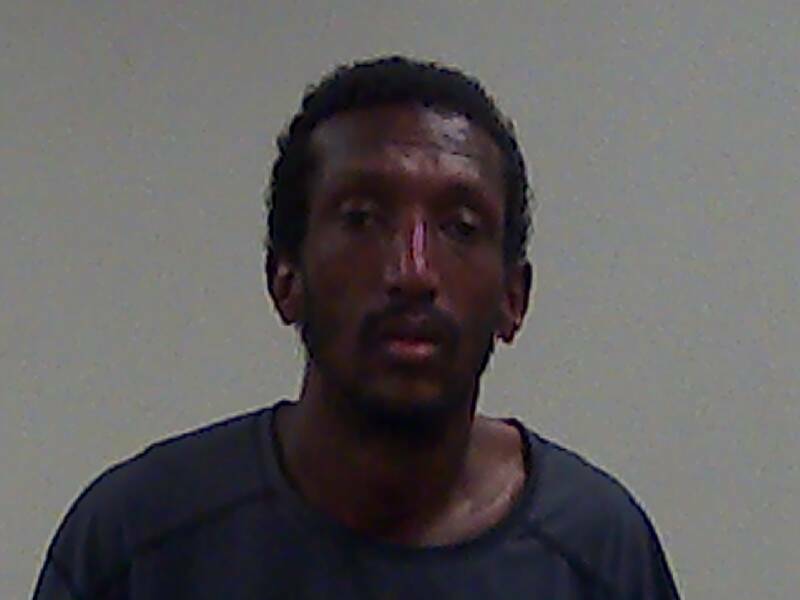 39-year-old Clinton Elam of Richmond had been wanted for failing to appear. Elam was spotted sitting in the courtroom of Wayne Superior Court III. A deputy walked into the court’s office, obtained a copy of the warrant, and walked Elam out of the courtroom. He remained behind bars Friday morning. (Spring Grove, IN)--Drivers on Waterfall Road will have to slow down beginning Thursday. 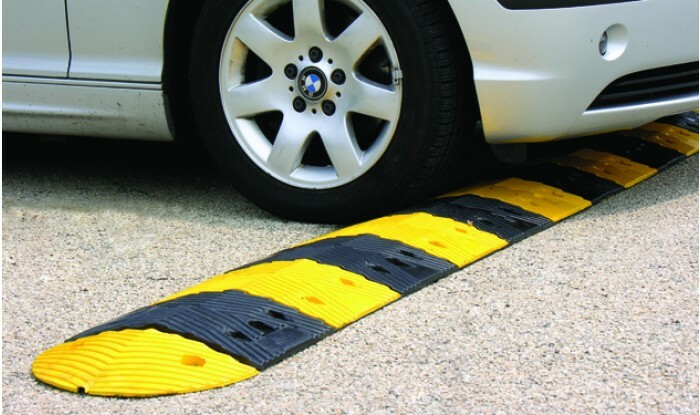 According to the president of the Spring Grove Town Board, the installation of speed bumps from the bridge over Thistlethwaite Falls to Chester Boulevard will be installed Thursday. Residents along that stretch of roadway have complained regularly about speeding. (Richmond, IN)--Richmond police had to go into an attic to get a wanted man Thursday morning. Officers went to the 400 block of South 14th at around 2 o’clock Thursday morning to apprehend 22-year-old Kiante Henderson. Henderson fled into the home’s attic and was eventually located and taken into custody. He’s being held on felony charges that include residential entry and criminal mischief. 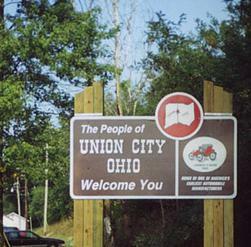 (Union City, OH)--In Union City, a discussion is underway about allow fire and EMS workers to carry concealed firearms while on duty. The policy, if approved, would make Union City one of the first in the area to allow non-police first responders to carry weapons. Union City Police Chief Mark Ater told council this week that he believes those first responders should be able to protect them. (Richmond, IN)--An ordinance that would put the brakes on plans to add bike paths to Fort Wayne Avenue and North E Street was sent to a Finance Committee after being introduced at Richmond Common Council Tuesday night. 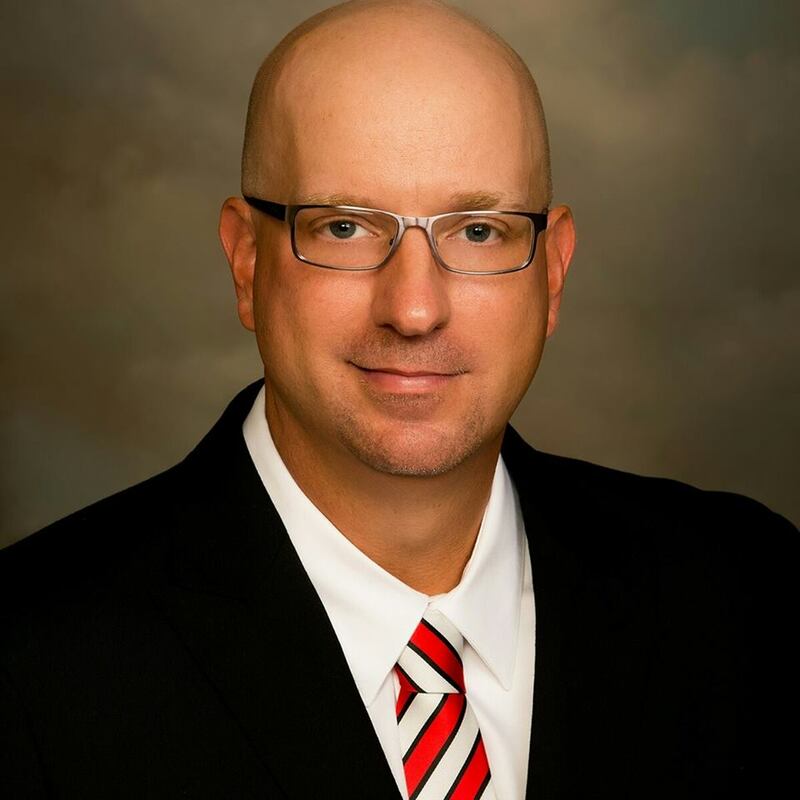 Before the ordinance came up, Mayor Dave Snow voiced his opposition. "It would be in the best interest of this community project to let the planning happen," Snow said. Specifically, the ordinance would allow council to reassume financial responsibility. Council member Misty Hollis met with Snow on the issue earlier in the day Tuesday. "I did sense from the mayor that he is willing to work more aligned with council and with the Depot District over the parking issue," Hollis said. It could mean the ordinance may be dropped. "The next two weeks, we might get to the point where I make a motion to strike this. I don't know. We'll have to see where we get," Hollis added. The 7th and 10th Street bike paths are continuing. (Richmond, IN)--An affidavit lays out the motive in Richmond’s most recent murder case. That affidavit states that Michael Carr shot and killed Jason Lewis at the Genesis Apartments a month ago because Carr believed that Lewis had played a role as an informant that led to Carr’s 2013 conviction for dealing cocaine. The document states that Carr chased Lewis to a 3rd-floor apartment at Genesis. Lewis dove out a window to escape and was then shot multiple more times outside. Carr had been waiting behind a bush and ambushed Lewis when he arrived at the apartments, leading to the chase. Carr is still being held without bond. (Richmond, IN)--Elder Beerman’s website is raising some eyebrows, but most experts are quick to say it does not mean brick-and-mortar stores like the one in Richmond will reopen. The home page of the website today says, quote, we’ve got great news. Elder-Beerman is coming back. Unquote. The comeback would most likely be an online comeback only. The website says to stay tuned for updates. The Richmond store and others in the region closed in the last couple of weeks. (Wayne County, IN)--Wayne County has received a large federal grant that will focus on keeping kids from becoming involved in prescription drugs, marijuana, tobacco, and alcohol. 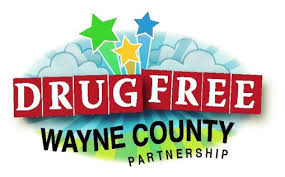 The grant is coming to the organization Drug Free Wayne County Partnership. They’ll get $125,000 annually for five years for a total of $625,000. 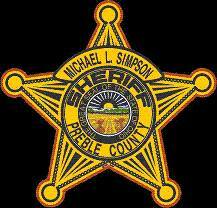 (Preble County, OH)--There was a drowning in Preble County over the weekend. On Saturday night, a 35-year-old man fishing in Seven Mile Creek just south of Eaton. Family members reported the man missing. Authorities then began searching the area with canines and drones. The search was suspended Saturday night and resumed Sunday morning. That’s when the man’s body was discovered. The victim is a Liberty Township resident. The investigation continues.